Was Mozart really a better composer than his peers? Generally speaking, people consider Mozart’s music significantly better than his contemporaries for two reasons: incredibly few imperfections and startlingly inventive construction. In Mozart’s time, music had a relatively specific form with a few rules that really shouldn’t be broken. Probably the most straightforward example of this is parallel 5ths/octaves. This is a simple voice-leading rule in the way you write music that says you’re not supposed to have voices that are a perfect interval away from each other move in the same direction by the same amount. Now pretend you’re a mid- to late-18th-century composer. This is a rule you’ve been taught since you were a kid, but you’ve also seen people bend it before. You bend it yourself every so often, because it’s just not always practical, and people usually can’t tell the difference. Mozart, unlike hypothetical you (sorry about that), is a perfect composer. It’s almost impossible to find a set of parallels in the sum total of Mozart’s work. In fact, a few years ago, there was some question about whether Mozart had written a piece that was attributed to him, and the way scholars proved it probably wasn’t Mozart’s was that it had several imperfections. That’s ludicrous, when you think about it. Imagine trying to figure out attribution on a scientific paper from centuries ago by pointing out that it was incorrect and therefore couldn’t possibly have been written by a certain scientist. That’s something you could only do with Mozart, because nobody else from the period was even close to as perfect. 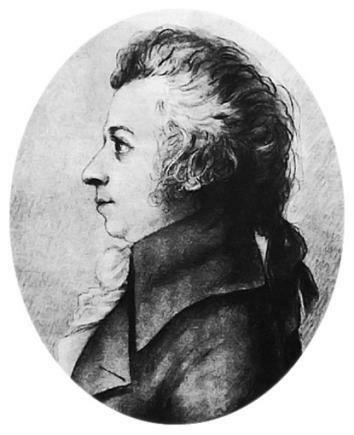 Mozart can seem boring now to the wrong modern audience, at times, but to a listener of the time, every piece would have been surprising in the most vital sense. Frankly, Mozart, unlike almost any composer of his era, never seems to be phoning it in. There’s this famous scene in Amadeus in which Salieri writes a piece in honor of Mozart, and Mozart just makes it a million times more interesting. This is really how I feel when I listen to Salieri’s music and then listen to Mozart’s. Salieri is sometimes absolutely brilliant, but a lot of the time it sounds like the stuff any decent musician would write if he tried to imitate “something 18th century.” Trying to imitate Mozart, though, is a total fool’s errand, because as soon as you think you know the rules of the game, Mozart changes them on you. He’s just endlessly creative, and no contemporary of his that I can think of comes close. Why do so many classical performers record the same pieces over and over again? What is it about Bach’s music that makes it transcendent? What is it like to study music at Yale?